Sail away to beautiful Hawaii. The Honolulu Invitation template features a classic Hawaiian scene, a spray of tropical flowers, and a city overlooking the Pacific. 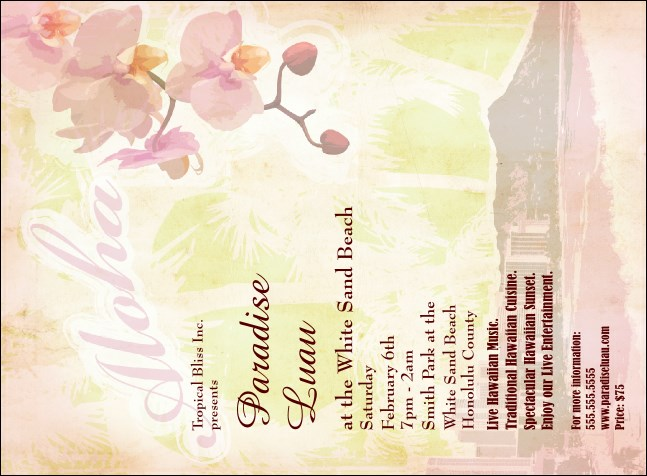 Printed in color on high quality paper, this invitation will have your guests hula ready!